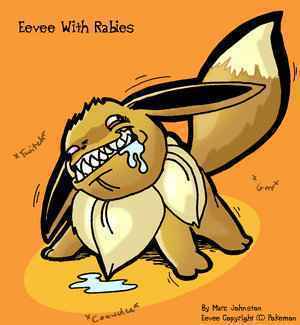 Eevee with rabies!. Eevee with rabies. Wallpaper and background images in the Eevee Evolutions Clan club tagged: eevee rabies. DO not cross at it or it can stole your chocolatte!